Mainland Air representatives will meet today to discuss the future of its Oamaru Air Service. They will likely confirm a change in scheduling, to ensure the service is viable. Discussions concerning rescheduling have come as a result of spread-out patronage on flights, chief executive officer Shirley Kean said. ''At this stage we're just going to have a look at rescheduling,'' Mrs Kean said. ''We're going to ... maybe cut it back to two to three days a week.'' Since June 4, Mainland Air has operated morning and afternoon return services between Oamaru and Christchurch, Monday, Wednesday and Friday. Morning flights leave Oamaru at 7.30am, arrive in Christchurch at 8.10am and return to Oamaru at 8.45am. Afternoon flights depart Oamaru at 4.30pm, returning by 6.10pm. A Sunday flight leaving Oamaru at 4pm, landing back again at 5.40pm was likely to be cancelled altogether, Mrs Kean said. Patronage had been ''really good'', but numbers had been too spread out. The service required five passengers on each round trip to be viable. The majority of flights averaged three passengers travelling to Christchurch, but none coming back, Mrs Kean said. From the outset, the company had made it clear if the service did not work for it, it would be scrapped. ''We don't want to pull out,'' she said. ''But if [rescheduling] doesn't work then we're out of there ... If this is not going to work, there's only so long we can keep going.'' She could not confirm a time frame to trial new scheduling before making a final decision on the service's future. Mainland Air's passenger mix was dominated by business travellers and local travel agents had been actively promoting it for holiday-makers. Wednesday and Friday had been the most popular travelling days. Captured at Auckland on Sunday 27 July 2014 was air2there's Beech 200 Super King Air ZK-MYM (c/n BB-1466). The aircraft is Palmerston North based is operated by air2there for a joint venture air ambulance operation with Helipro. I finally got to take my first photos of Air New Zealand's newest toy, their Boeing 787-9 ZK-NZE as it departed Auckland yesterday for a training flight to RNZAF Ohakea... From a distance the 787-9 looks small... however when it was taxiing out from the Air NZ base I was struck by how big it appeared. I was also struck by how incredibly quiet it is! All in all, a spectacular aircraft! Oamaru - Is it about to lose another air service? Further changes are being made to provincial air services from the 5th of February 2015. ATR-72s will be used for the first time on the direct flights between Napier and Christchurch with the morning southbound and evening northbound flights being operated by ATR aircraft. The other direct flights will continue to be operated by the Q300s. ATR 72s will also be operating between Christchurch and Tauranga on Saturday afternoons and between Tauranga on Christchurch on Sunday mornings. As previously mentioned in this blog the Nelson-Palmerston North services and Beech 1900 flights to Kerikeri are being upgraded to Q300s. In addition to these, the late afternoon flight between Auckland and Rotorua and return will upgrade to Q300s. The morning flight was upgraded to Q300s in February of this year. Tauranga is also to pick up more Q300s flights to Auckland from late September this year. During the course of the Second World War the Royal New Zealand Air Force regularly made use of the Tasman Empire Airways flying-boats ZK-AMA Aotearoa and ZK-AMC Awarua to make a number of maritime patrol flights that searched for enemy surface raiders and checking unidentified vessels. For these flights the civilian boats were armed with 500lb bombs. On the 25th of November 1940 the German surface raiders the Orion and the Komet intercepted the sighted and captured the steamer Holmwood which was on passage between the Chatham Islands and the Port of Lyttelton. The 29 crew and passengers were taken off, as well as several hundred live sheep, after which the Holmwood was sunk by gunfire. When the ship failed to arrive TEAL’s Short S30 Flying boat Awarua, under command of Captain W. J. Craig was sent from Auckland to search west of the Chathams. The aircraft sighted the Chathams but did not land or overfly them. In the Aviation Historical Society of New Zealand Journal of December 2007 J W Best outlined the development of the Air Force Base and the first visit of an aircraft to the Chathams. It could not have been long after this that preparations to get the base established were started. A temporary jetty, a large motorised refuelling barge, a launch, and kerosene flare floats, were provided. Two buoys were placed in Waikato Bay, a small inlet off the lagoon. Petrol (20,000 gallons) and oil (176 gallons) was stockpiled. Two sighting beacons were installed on land as night mooring aids. The base was under the supervision of a local resident, Mr Glennie. Short S.30 Aotearoa (Capt. J. W. Burgess) left Auckland at 2:30 am on 29 April 1941 to undertake a reconnaissance flight around the Chathams. The flying boat searched some 15,000 square miles without incident then landed in Te Whanga lagoon at 11:19 am. Burgess was taken by launch to the refuelling barge. Only 44 gallons of petrol were taken aboard the S.30 "in ... accordance with instructions" Burgess reported. (This first visit by an aircraft was probably made primarily to test the facilities and equipment at the newly established mooring.) Burgess and his crew stayed less than 1 hour 30 minutes at the Chathams. The S.30 took off at 12:45 pm and arrived at Lyttelton at 4:36 pm. They flew back to Auckland next day (30 April), arriving at 3:55 pm. A war-time visitor, TEAL's Short S30 Empire ZK-AMA, Aotearoa, was the first aircraft to visit the Chatham Islands on the 29th of April 1941. 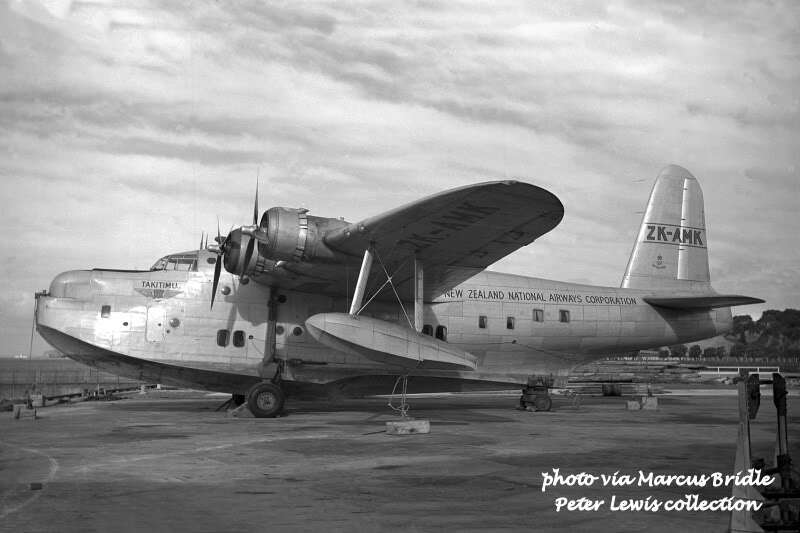 Following the Second World War the RNZAF made numerous flights to the Chathams and in 1949 the National Airways Corporation tried to establish an air service to the Chathams using their Short Sunderland flying boats. The early hopes for the NAC’s service did not eventuate and NAC’s early involvement in the Chathams ended early in 1950 when it retired its Sunderlands. In 1949 TEAL added four Mark IV Short S45A Solent flying boats to its fleet. 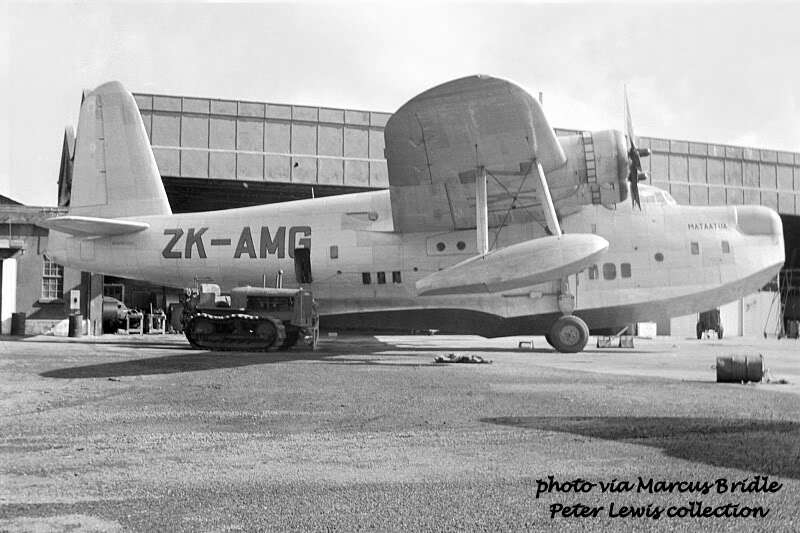 ZK-AML, Aotearoa II, arrived on the 7th of December 1949, ZK-AMM, Ararangi, on the 29th of September 1949, ZK-AMN, Awatere, on the 23rd of October 1949 and ZK-AMO, Aranui, on the 30th of November 1949. A fifth Mark III Solent ZK-AMQ Aparima was delivered a couple of years later on the 15th of September 1951. 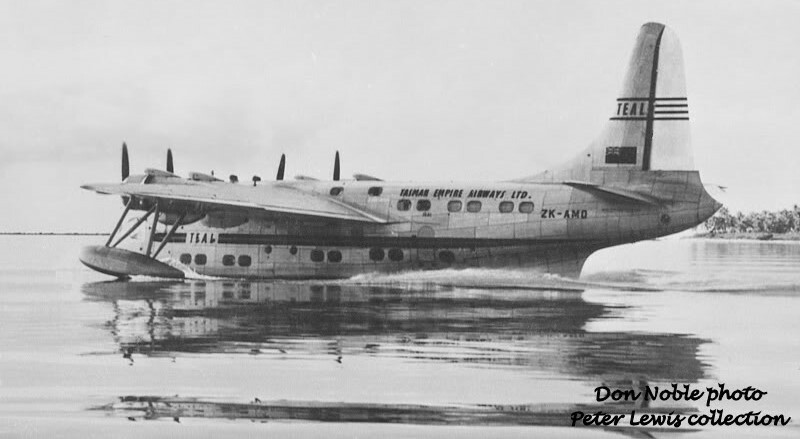 The Flight International magazine issue for the 29th of September 1949 described the Solents as having passenger accommodation for 30 to 44 passengers with a crew of seven. With a payload of 17,124 lb, including 44 passengers, luggage, mail and freight, it has a range of 1,450 miles, cruising at 200 mph at 10,000ft. On 1950 the Minister of Civil Aviation approved of Tasman Empire Airways introducing an air service between Wellington and the Chatham Islands. It was envisaged that six return flights per year would be flown and that if the Company felt that sufficient traffic were offering, additional services might be arranged during the summer and the Canterbury Centennial Celebrations. Approval was given for the Company to be subsidised up to £75 per return trip, the payment to be reviewed after four return trips had been flown. 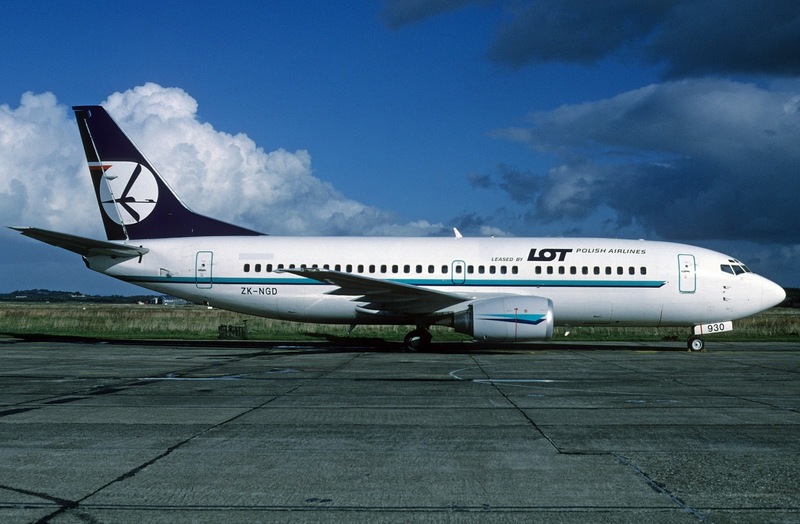 The Government thought TEAL’s service could be tied in with TEAL’s plans for its Wellington to Sydney service saving the cost of positioning an aircraft from Auckland as NAC had done. TEAL introduced its thrice weekly service from Wellington’s Evans Bay to Sydney on the 3rd of October 1950. In support of this service a flying boat base was established at the sheltered western end of Evans Bay beneath Hataitai Point and terminal facilities for the flying boat operation were built. This was also to become the departure point for TEAL’s service to the Chatham Islands. In the event TEAL found it necessary to position a Solent from Auckland to Wellington for the Chathams’ service rather than use the aircraft that operated the Sydney service. 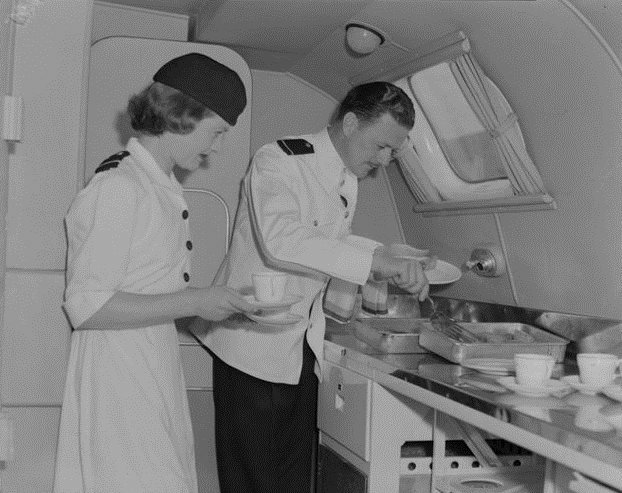 This was due to the heavy volume of traffic on the Wellington-Sydney service, the necessity for the aircraft to carry on to Auckland for maintenance, and the upset to the Sydney schedule if the Chathams service was operated. The first flight of the bi-monthly service was flown by Solent ZK-AMM, Ararangi under the command of Captain Cliff Le Couteur on the 15th of December 1950. It carried a full load of 48 passengers from Evans Bay to Te Whanga lagoon including children returning home for the Christmas holidays. It returned to Wellington the same day check with 17 passengers. 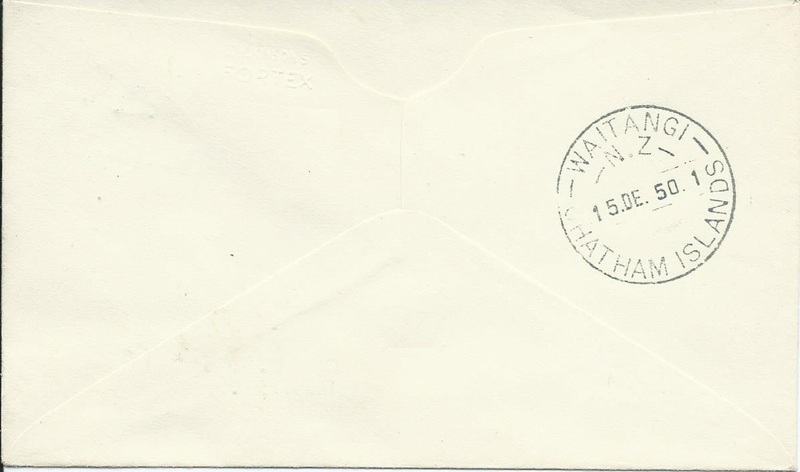 For the period from the 15th of December 1950 to the 13th of April 1951, the Company operated five flights to the Chathams. One of these had to turn back after the weather deteriorated at the Chathams preventing it from landing. The first five flights, including the unsuccessful one, cost £4,419.10.6d to operate which was offset by £3,362.4.3d of revenue. This equated to a loss of £1,057.6.3d. If the unsuccessful flight was excluded, the loss was £119 per trip which was considered reasonable taking into account the positioning of the aircraft from Auckland and when a £75 subsidy per return trip for a flight from Wellington had been budgeted for. If TEAL had been able to fly from Wellington, the flights would have shown a small profit, approximately £200. Flights continued to operate. A TEAL press release on the 30th of October 1951 advertised its eighth flight which was to operate on the 10th of November 1951. 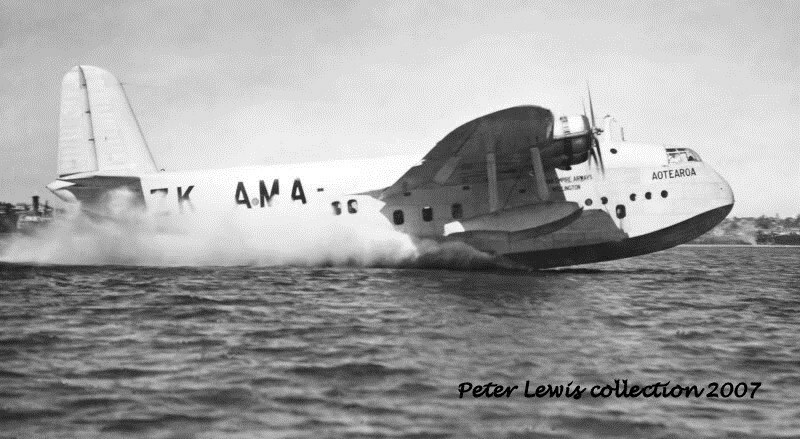 A Solent flying boat will leave Auckland at 4.15 a.m. and Wellington at 7.00 a.m. It will return to Wellington, at 4.30 p.m. and to Auckland at 7 p.m. The aircraft is expected to carry a large cargo which will include sausages, ice cream, oranges and bananas. Six flights a year are operated to the Chatham Islands by TEAL. Since the service commenced the company has operated seven flights which have all carried heavy passenger and cargo traffic. 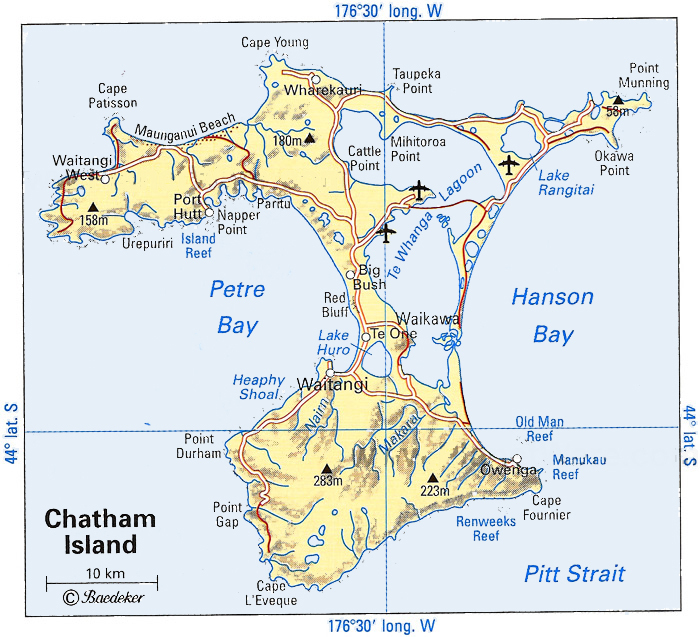 The service is operated on dates which best suit the convenience of Chatham Island residents and government departments and private organisations in New Zealand with interests in the Chathams. Further flights will be made on 5th and 15th December, 30th January, 13th March and 3rd April. The flight the following month, on the 15th of December 1951, carried a special passenger. Father Christmas flew out to the Chathams by the TEAL Solent to bring Christmas cheer to the Chatham Island children. The service continued to operate for the next two and a half years. In the 1953/54 financial year the six flights operated made a loss of £ 434.1.10d with costs of £6,029.4.1d and revenue of £5,595.2.3. In 1954 TEAL made the decision to withdraw its Solent flying boats with the exception of ZK-AMO which was kept for the Coral route. TEAL’s plan envisaged this Solent would be based in Fiji and would only come to Auckland for maintenance and over-haul purposes three or four times a year and that was not practical for it to continue the Chathams service during the maintenance visits. 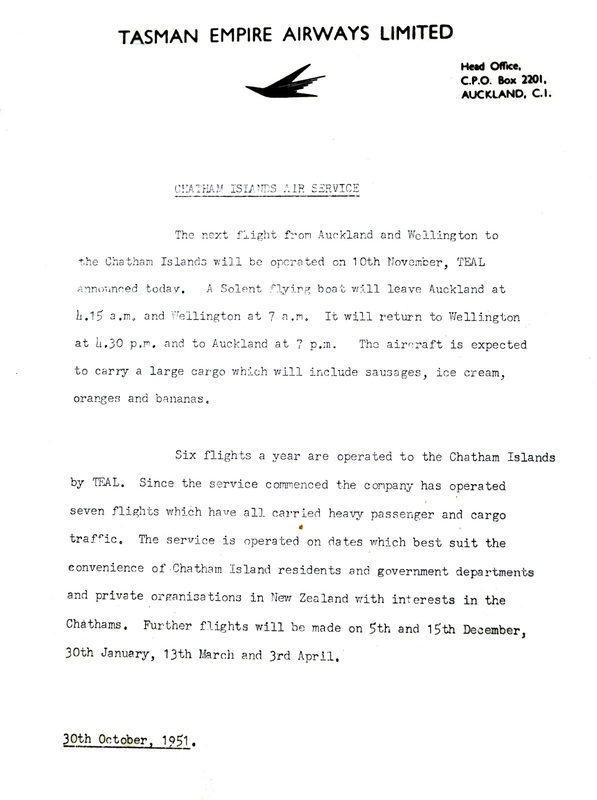 The company recognised it would not meet the requirements of the local population “who are more interested in getting two services at a relatively short interval in order to enable islanders to come to New Zealand for a short period or to enable Government officials and others to come from New Zealand to the Chatham Islands for departmental purposes.” TEAL operated their last service to the Chathams on the 7th of April 1954. The flight was operated by Short S.45 Solent flying boat ZK-AMM, Ararangi, under the command of Captain Cliff Le Couteur and Second Officer M. R. B. Wallace. 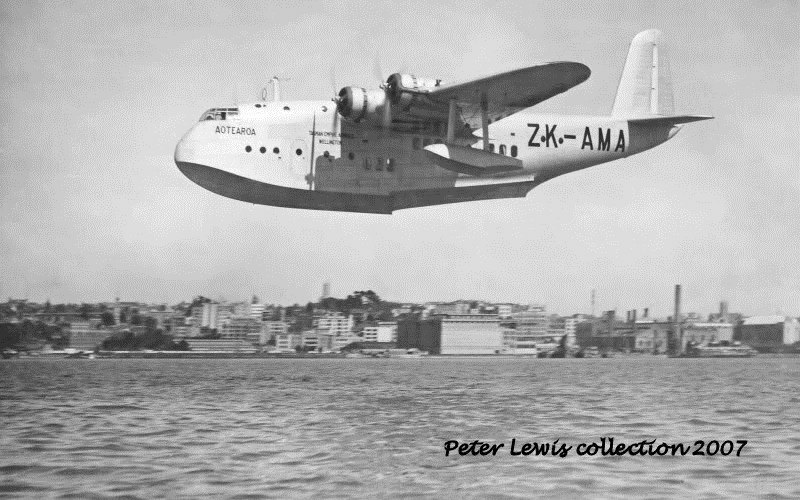 On the 17th of October 1956, Short S45 Solent ZK-AMQ Aparima returned to Auckland. A couple of days later, on the 19th of October 1956, TEAL flew a charter direct from Auckland to the Chathams and return on behalf of the RNZAF. This was the last time a TEAL aircraft visited the Chathams. Air New Zealand's Airbus 320 ZK-OJS now features the company's new colour scheme. It is seen here at Auckland on 6 July 2014.
and in the blue scheme as seen here at Auckland on 13 April 2013. Sounds Air is looking at doubling its Wanganui-Wellington service. The company is trialling a new service into Wanganui, aimed at getting Wellington commuters to the River City as well as making better connections to its South Island ports. At the moment the company's Cessna Caravan plane flies from Wanganui in the morning with a return flight in the evening. But from September 1 there will be a flight from the capital to Wanganui in the morning with a return flight mid-afternoon. Andrew Crawford, Sounds Air managing director, said the change of schedule essentially doubles the flights to and from Wanganui. "The new service will fly down to Wellington in the morning with a return flight back to Wanganui that same morning," Mr Crawford said. "At the moment there's no avenue for Wellington people to get a day flight to and from Wanganui so this is what this new service will bring," he said. "The beauty of this new service will mean it dovetails into connecting flights to Nelson, Blenheim and Picton. So it means someone can leave Wanganui on the first flight and be in Nelson by 9am. Until this new service they wouldn't get into Nelson until 2pm." He said the company had had inquiries from Wellington people wanting to make that Wanganui connection. At the moment Sounds Air flights leave Wanganui at 6.45am Monday to Saturday, arriving in the capital at 7.25am. Return flights are scheduled Monday to Friday and again on Sunday, leaving Wellington at 6pm and arriving at 6.40pm. From the start of next month, the first Sounds Air flight will leave Wanganui at 6.30am with a return flight from the capital at 9.30am. That will be followed by a Wanganui-Wellington service leaving at 3.30pm and a return flight leaving the capital at 7.30pm, operating on the same days as the current flights. Mr Crawford said the schedule will remain over summer then be reviewed. That review will also decide whether to locate pilots in Wanganui permanently. He said it was a "bold move" but one that he believed will work. "We did the same thing with our flights from Wellington to Nelson and it made a huge difference." He said the revised flights from Wanganui and Wellington would also provide an ideal 'over-and-back' connection to Nelson, Blenheim and Picton. Mr Crawford said the Wanganui service was holding its own. "We could do with more passengers but it's slowly building which is positive," he said. Sounds Air took over the Wanganui-Wellington route when Air NZ axed its daily service in December last year and started its service on January 21. 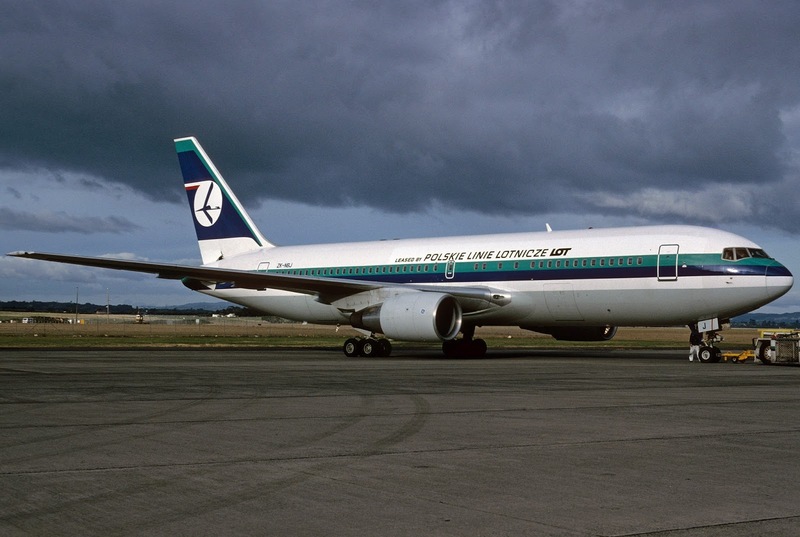 The airline has flown Cook Strait for 25 years. I have just found the article below which was in the Hawke's Bay Today newspaper on the 4th of May 2014. As a follow on from this NZ Aerial Mapping was placed in receivership on 2 July 2014. Long-established Hawke's Bay company NZ Aerial Mapping says it will remain in the region despite a decision to move some parts of its business to Auckland and sell its Hastings Aerodrome headquarters. The aerial photography and mapping company has put its buildings,hangars and land at the Bridge Pa Aerodrome on the market as it consolidates its engineering and flight operations activities in Auckland. The company has had a presence at Bridge Pa since the 1930s and says it will continue to run its production and sales operations from Hastings. Managing director Mark Roberts said the shift of some parts of the business to Auckland followed the company's 2012 acquisition of Great Barrier Airlines. "Although the two businesses are different (an aerial survey company and a commuter airline) there are synergies to be made," Mr Roberts said. "Some benefits have already been extracted, however, it is now time for the group to implement the combining of the engineering and flight operations of both businesses," he said. "Due to the types of planes the group owns and regular passenger transport operation being flown, it was decided the new facility is best based in Auckland and therefore the Bridge Pa facilities become surplus to requirements." It is understood some NZ Aerial Mapping staff have been offered the option of either moving to Auckland or taking redundancy. Bayleys Hawke's Bay, which is selling the property, says it offers an exciting opportunity for plane owners or an aviation industry business. The site is one of only two such facilities in the area. The 7465sq m freehold section includes a number of buildings, three hangar workshops, a fuel tank and a dangerous goods store. Tenders for the property close on May 22. "An opportunity now exists for an investor to take over this property in a sought-after area and potentially elevate the business to a new level," Bayleys agent Paul Garland said. The other Bayleys salesman involved in marketing the property, Daniel Moffitt, said the strength of the local horticultural market could present an opportunity for a horticultural aviation company to take on the facilities. "A new owner could also consider subdividing the hangars to extend capacity for operators, particularly those specialising in horticultural aviation given the demand of the surrounding market," he said. Hastings Mayor Lawrence Yule said the district had been working to attract new aviation businesses, and he was confident the facility would find a new owner. "I don't like any business moving off but at the moment we're substantially gaining more than we're losing so I'm quite happy about that," he said. While NAC has only had the briefest of connection with the Chathams it holds the status of being the first civil operator to the Chathams on both land and sea. During the years 1946 to 1948 the RNZAF operated a number of flying boat services to the Chatham Islands using their Catalina and Sunderland flying boats. These flights prompted calls for a regular air service to the Chatham Islands. 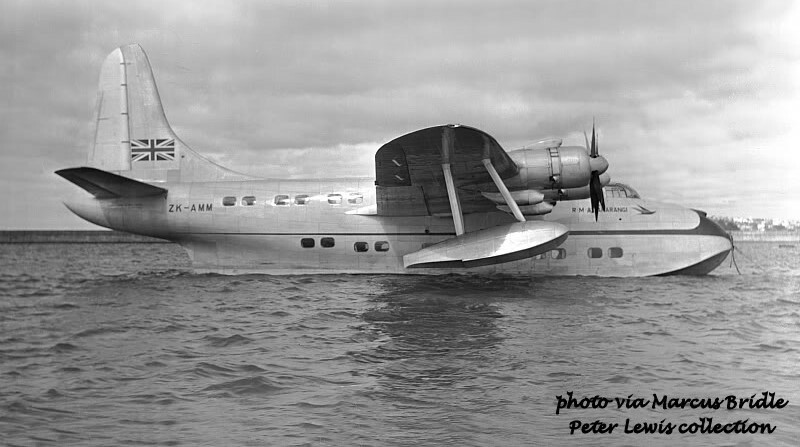 On the 7th of October 1948 Cabinet gave the National Airways Corporation authority to operate a flying-boat service between Wellington and Chatham Islands and return once every six weeks, on trial, for a period of six months. Any losses incurred were to remain with the National Airways Corporation until the end of the period It was agreed that if it was subsequently decided to continue the service that at the end of the first year's operation the question of whether NZNAC would be reimbursed or not would be considered. Initially there was some question as to whether these flights would terminate on the Chathams’ Te Whanga Lagoon or Lake Huro. RNZAF crews that had previously visited the Chathams in adverse weather conditions were very much against the continued use of the lagoon. However, there were no mooring, launch and jetty facilities at Lake Huro let alone road access and so Te Whanga Lagoon was confirmed as the landing site. As this question was determined NZNAC also looked to ensuring adequate services at Evans Bay, including provision of launches, mooring, refuelling, “sweeping” the landing and taking-off areas as well as the provision of a place for checking in passengers. The Corporation asked Aeradio and the RNZAF to provide the same radio communication facilities for their flights as had been provided for previous Air Force flights. NAC operated a survey flight to the Chatham Islands with Short Sunderland ZK-AMG, Mataatua, on the 9th of February 1949. 21 seats were available on the outward flight, but the Sunderland was full for the return trip on the same day carrying Public Works Department carpenters and secondary school students returning to New Zealand for the new school year. The fare was set at £11 each way with each passenger allowed 35lb of luggage. The flight was scheduled to leave Evans Bay at 8.15am arriving at the Chathams at 11.45am. The return flight was scheduled to leave at 2.45pm arriving at Wellington at 6.15pm before the Sunderland positioned back to Auckland. Over the summer of 1949/1950 more flights were operated. Wellington’s Evening Post suggested that the Chathams as a holiday destination - Holiday seekers who would care to spend a month at the Chatham Islands over Christmas will have an opportunity to do so by flying-boat. A Sunderland flying-boat is making two special flights from New Zealand to the Chathams over the holiday period. She will carry passengers from Wellington and mail from Auckland and Wellington. The first flight leaves Auckland at 2.30pm on December 22, and Wellington at 8am the following day, returning to Wellington at 5.30am from the islands. The second flight will be made at the same times on January 26 and 27. The Sunderland will arrive at Wellington from Auckland at 5pm on December 22 and January 26, and departs for Auckland from Wellington at 6.15 pm on December 23 and January 27. NAC had three Short Sunderlands registered to them... Above ZK-AMG, which made the first flight to the Chathams and below ZK-AMK. Both photos were taken at Hobsonville in Auckland. 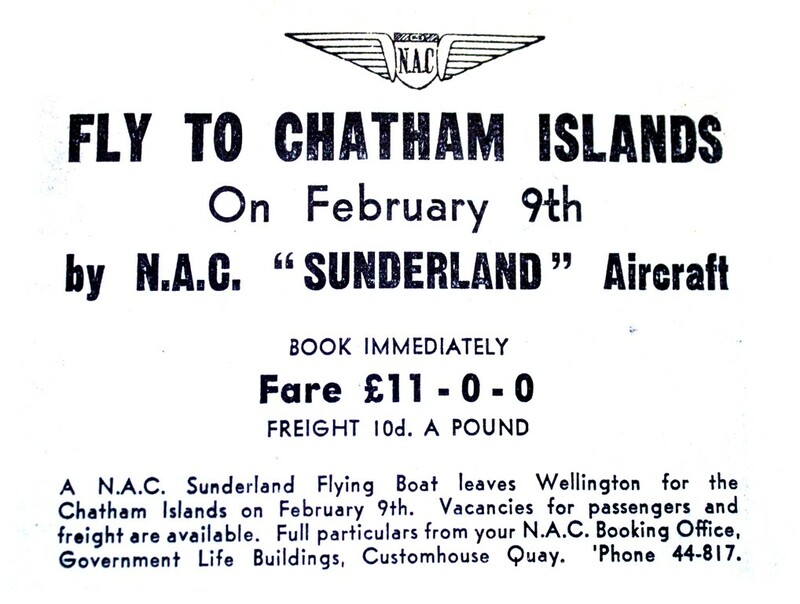 In 1950 NZNAC retired the Sunderlands from its fleet, the flight on the 27th of January 1950 being the last flight the Corporation operated to the Chathams. The flight in ZK-AMK was under the command of Captain Allan Henry and First Office Brian Layne. 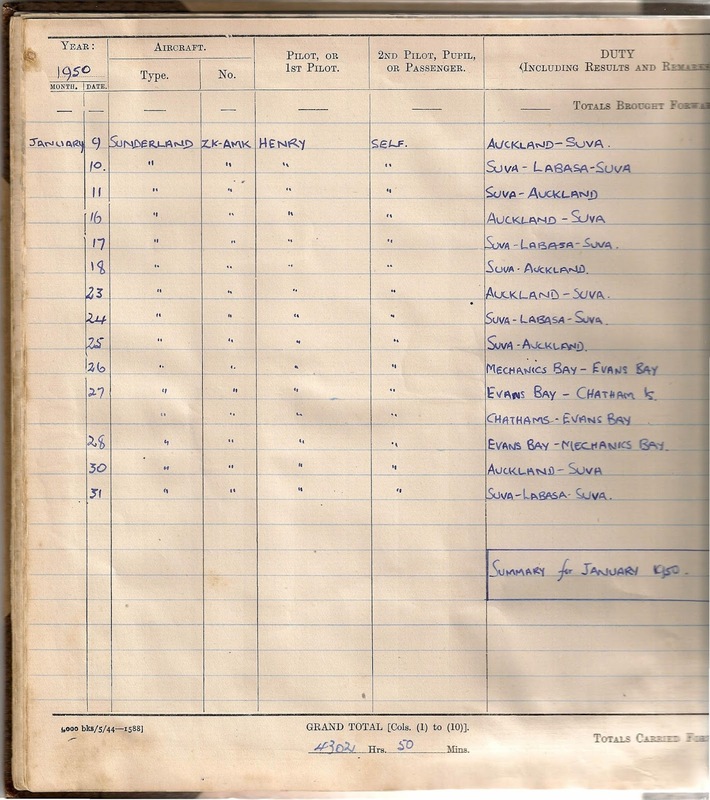 First Officer Brian Layne's logbook with the last NAC flight to Chathams recorded on 27 January 1950. The NAC air service to the Chathams proved to be costly. The four flight carried 135 passengers and incurred losses of £436.17.11 in March 1949, £640.12.5 in August 1949, £439.12.1 in December 1949 and £360.6.9 in January 1950. The Minister of Finance approved the reimbursement of these losses to the Corporation. 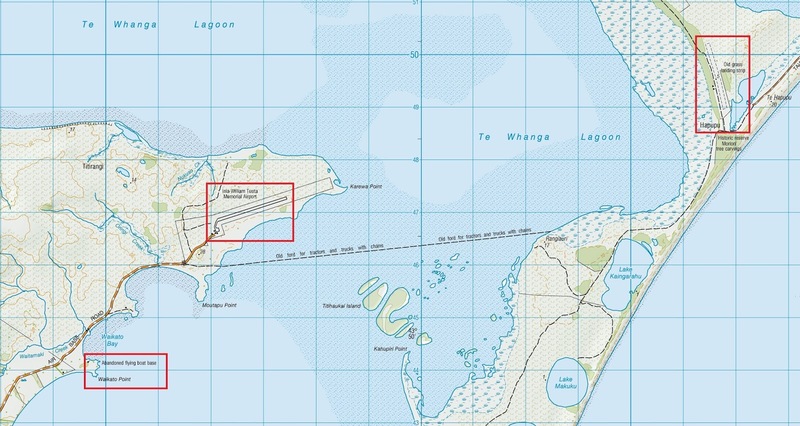 Location of the three landing sites on Chatham... From left to right, Point Waikato flying boat base, the current Tuuta Airport and Hapupu airstrip which was used by the RNZAF and Safe Air's Bristol Freighters and Tasman Air's Piper Navajo. NAC was later to become the first civil operator of land-based flights to the Chatham Islands. This was made possible after the opening of Hapupu Airfield. 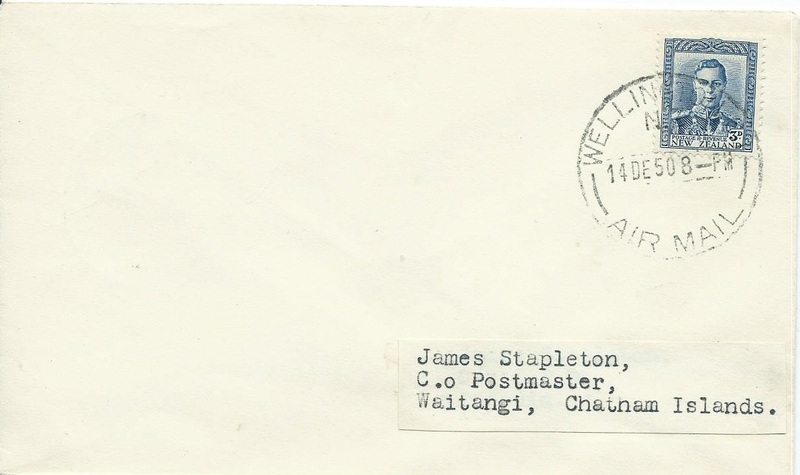 On the 25th of August 1956, the Barker Brothers replied that they had already commenced preparation of the Hapupu airstrip and this was ready for use by May 1957. The first flight into Hapupu was made by the Civil Aviation Administration’s Douglas DC-3 ZK-AUJ on the 15th of May 1957. The first flight was flown by Captain Hewitt with First Officer George, Navigator Duke, Radio Officer Vaughan and Flight Engineer Young making up the rest of the crew. 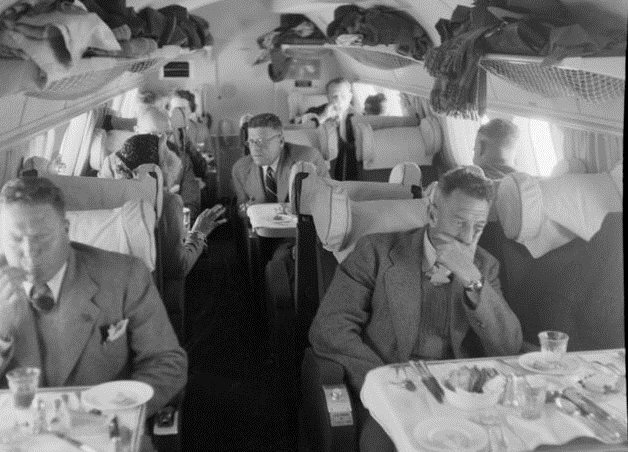 Also on board were Messrs Halley and Andrews of C.A.A. and Mr Pritchard of the Ministry of Works. The survey party were quite impressed with the 4000x400 feet airfield which had been developed by the Barker Brothers. It was built along a slight ridge of sand and shell composition and the survey party considered it had “a well-drained surface, with a thick sole of grass. Despite previous rains, only tyre marks with slight tread indentations were left by the heavy aircraft.” While the survey party were happy with the airfield the Chatham Islanders were less happy as Te Hapupu was more than 30 miles from Waitangi, the Chathams’ main population centre. For half the overland distance there was no road at all so most traffic took a short cut through Te Whanga lagoon using horse-drawn joggers or tractor-drawn trailers. Nonetheless it was reported that half the population were at Te Hapupu to see the DC-3’s arrival. During the previous two summers Ansett Airways of Australia had operated a series of flights to the Chathams. These had proved expensive and so for the summer of 1957/58 NAC were chartered by the Department of Island Territories to operate five Douglas DC-3s flights between Christchurch and Te Hapupu with an additional flight if necessary. The cost of chartering the DC-3s was estimated at £425 per flight, with an approximate net expenditure of £1000 (after revenue from ticket sales) for 6 flights as opposed to a net expenditure the previous year of £3,000 for flights operated by the flying boats. Flights were scheduled to operate on the 14th and 18th of December 1957, and the 26th of January, 2nd of February and 1st of March 1958 with a fare of £17.17.6 being charged for adults and a half fare for school children. The first survey flight was flown by Douglas DC-3 ZK-APA with the subsequent five charter flights being made by ZK-APK. The operation of these flights proved to be very successful, with a profit of £600 being made on the Chatham Islands service for the first time. However, there were aspects of the operation of the flights that proved to be problematic. Prime among these was the remote location of the airfield and the difficulty of accessing it, the journey to the airfield taking up to 3 hours. The DC-3’s, while cheaper to operate than the flying boat, could only carry 14 passengers to Hapupu and 19-20 passengers on the return trip. It was felt that if further flights were to be operated it was highly desirable to install a radio beacon as well as radio communication from the airstrip to the aircraft. The cost of this equipment was estimated at £10,000. There was also the question of the recouping of costs for the construction of the airfield with the Barker Brothers wanting the Government to buy the airfield while the Government was willing to pay a £2000 subsidy plus a £10 landing fee for commercial flights. Despite the commercial success of these first flights they were not repeated. The following year it was the RNZAF who operated the summer flights to the Chathams and who continued to operate a regular service. In announcing the RNZAF service the MP for Lyttleton Norman Kirk said the flying-boats offered the best solution to many of the islands transport problems. Asked why flying-boat service had been preferred to land planes, he said that the Te Whanga Lagoon had an area of 86,000 acres and offered multi-directional landing facilities not available at Hapupu which was a grass airstrip. "The access to the strip is 31 miles, most of which is swamp and fern country and negotiated by tracks and four-wheel drive vehicles, and even these experienced considerable difficulty in driving the last 15 or 20 miles." he said, "This trip necessitates travelling in old clothing and changing into other clothes at the airstrip. This usually takes place in the bush." The lagoon, he said, offered a more regular service immediately with no costly development involved. NAC was to operate one further DC-3 flight to the Chathams on the 26th of June 1966 when ZK-APA made a trip to the Chathams to bring back crew members from a trawler owned by Mr G. Blaikie of Bluff. I am indebted to the records held in Archives NZ in writing this. Retired from the Air New Zealand fleet this week is Boeing 747-475 ZK-SUH. It made its last commercial flights with the company on the 13th of July 2014 flying NZ8 from Auckland to San Francisco and returning as NZ7 departing San Francisco on the 14th and arriving into Auckland on the morning of the 15th of July 2014. ZK-SUH was first of three Boeing 747-400s taken on long-term lease from ILFC. It arrived in November 1994 and was followed by ZK-SUI and ZK-SUJ. ZK-NBV is the last remaining Boeing 747-400 in the Air New Zealand fleet. ZK-SUH is due to depart New Zealand for Los Angeles and the Southern California Logistics Airport at Victorville at the end of the month. I have done a major update on my earlier post on the New Zealand operations of Vincent Aviation. And as a postscript, already my post is out-of-date... the comment below informed me that Today, 16 Jul 14, Beech 1900D VH-VAQ (ex ZK-VAB /2) was registered to Vincent Aviation Ltd as...ZK-VAB again!